Invisalign is an excellent way to gently straighten your teeth without metal brackets and wires. Always wash your hands thoroughly before handling your aligners. Take out one clean aligner at a time, and rinse it briefly. Your upper aligner will be marked with a “U,” and the lower one features an “L.” It doesn’t make a difference whether you insert the upper or lower aligner first. Gently push the aligner over the teeth in the front of your mouth. Then, place your fingertips on the two ends of the aligner, which should be positioned over your back teeth (molars). Apply gentle, equal pressure until the aligner snaps securely into place. 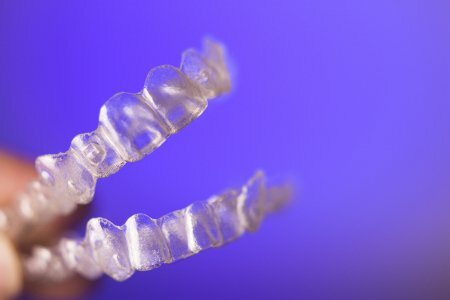 Never try to bite your aligners into position, as this can damage them. Invisalign treatment in Hazlet is available from Glenwood Premier Dental, along with a full range of other cosmetic dentistry services. Call (732) 264-4477 to request a consult with our orthodontist.